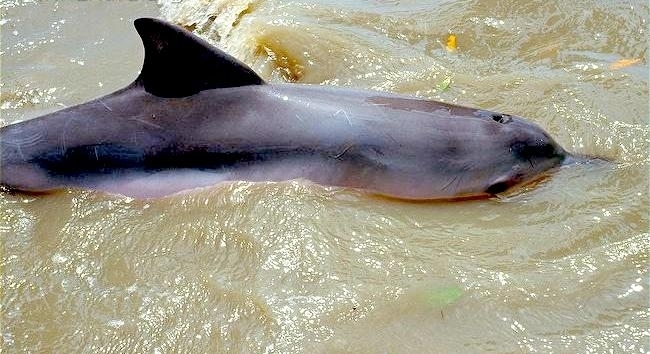 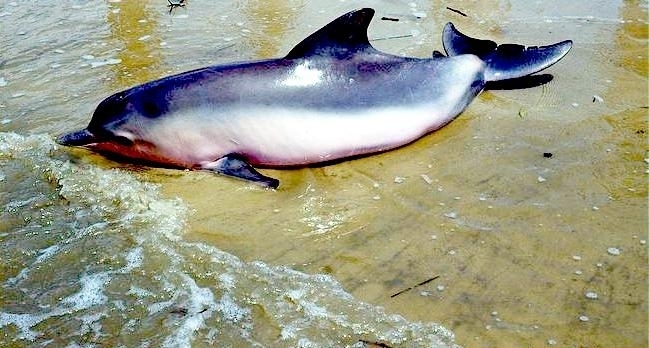 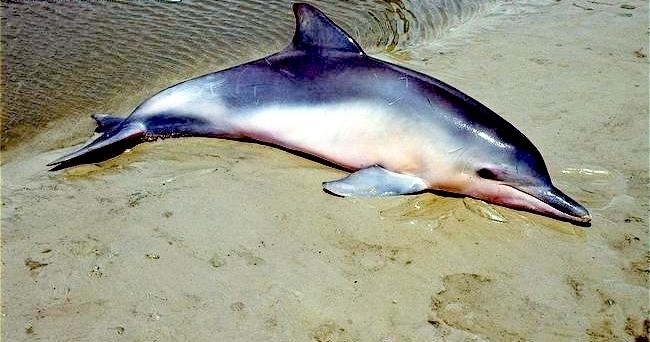 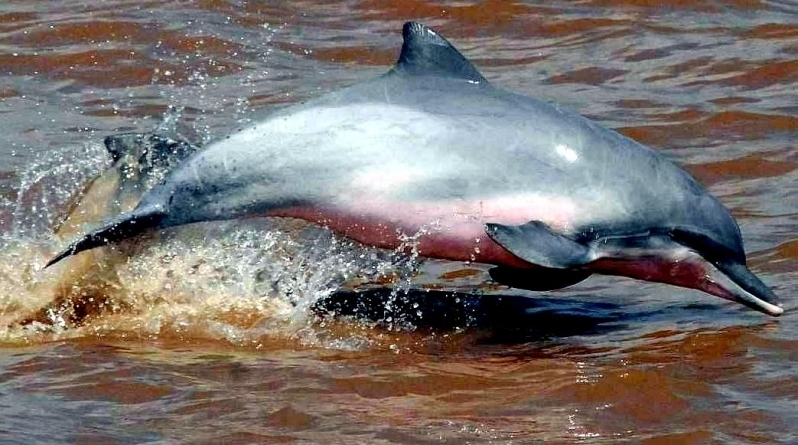 The Tucuxi Dolphin measure 4.2 to 7.2 feet long and weigh 77 to 121 pounds. 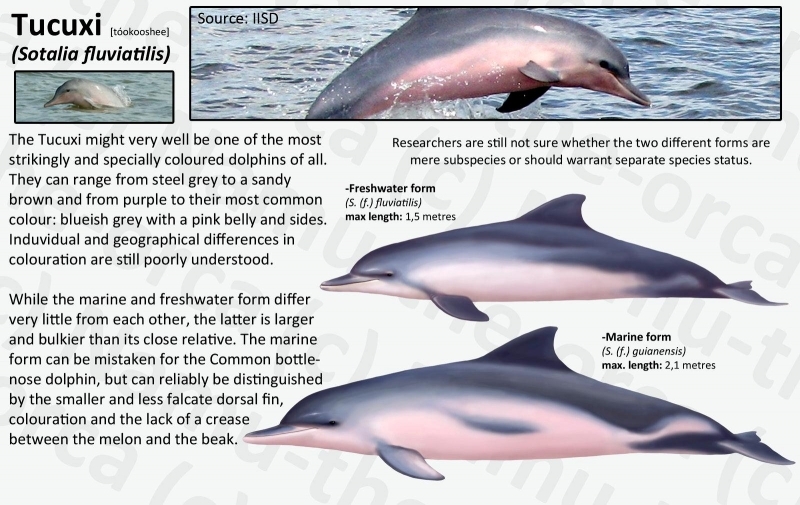 Their backs are light grey to blueish-grey in color while their undersides are pinkish to light-grey. 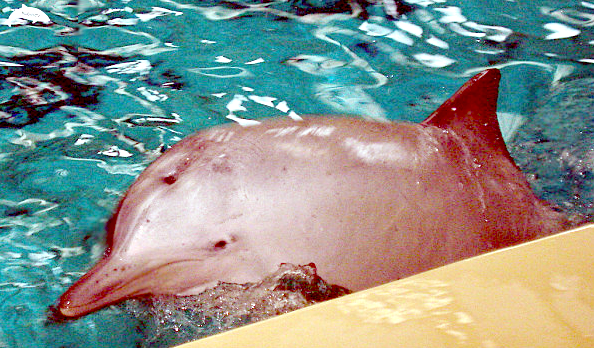 The lower jaw & throat will also have a pinkish coloration every now and then. 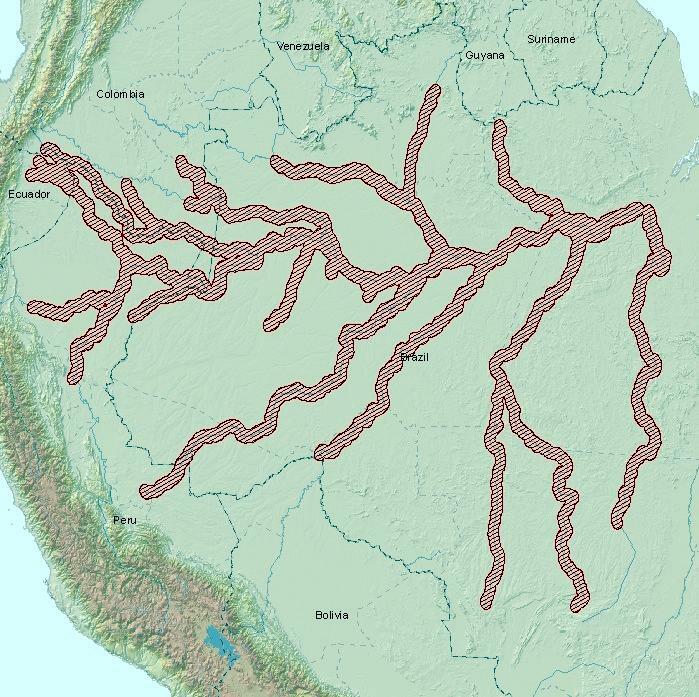 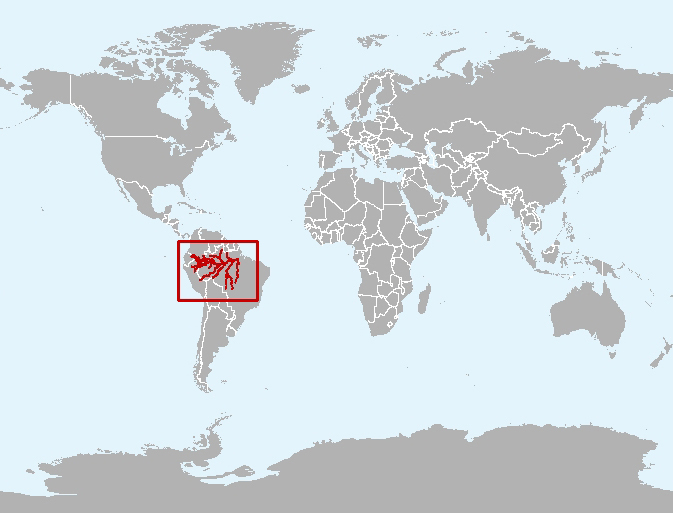 The word “Tucuxi” is derived from the native Tupi language word “tuchuchi-ana” and has now been adopted as the species’ common name. 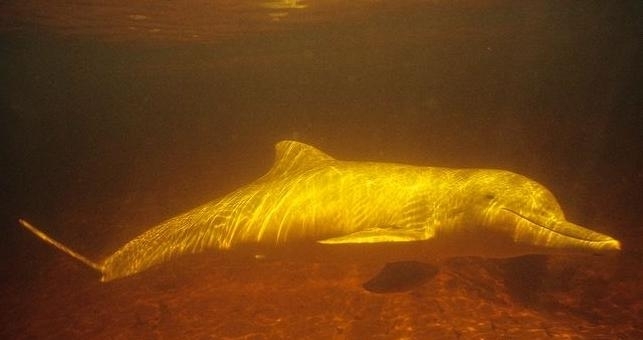 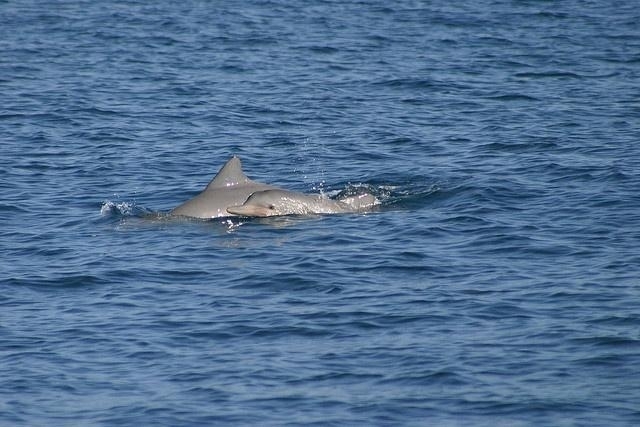 They have a triangular, rounded and curved dorsal fin that is slightly hooked at the tip. 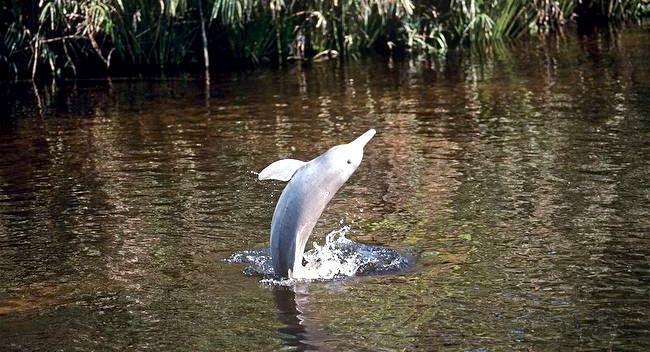 Their beaks are long & slender with a rounded forehead and their upper & lower jaws both contain 26 to 36 pairs of teeth. 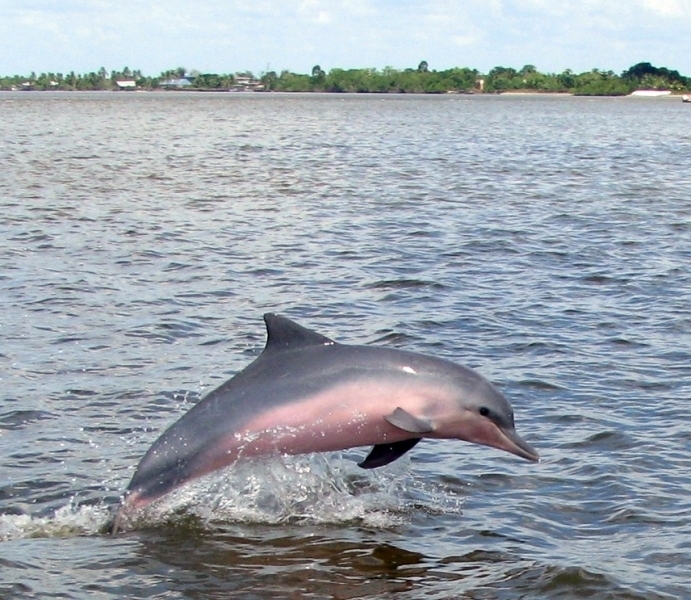 The Tucuxi Dolphin can be found in the river systems of both the Amazon & Orinoco as well as along the coasts from Brazil to Nicaragua. 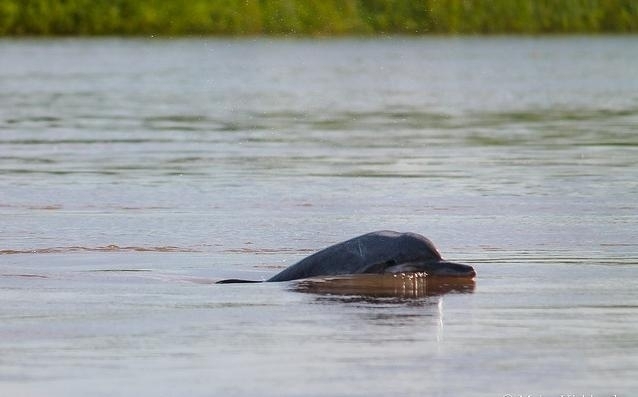 They live in pods that can contain as many as 20 (freshwater) to 50 (saltwater) and communicate with each other through the use of echolocation. 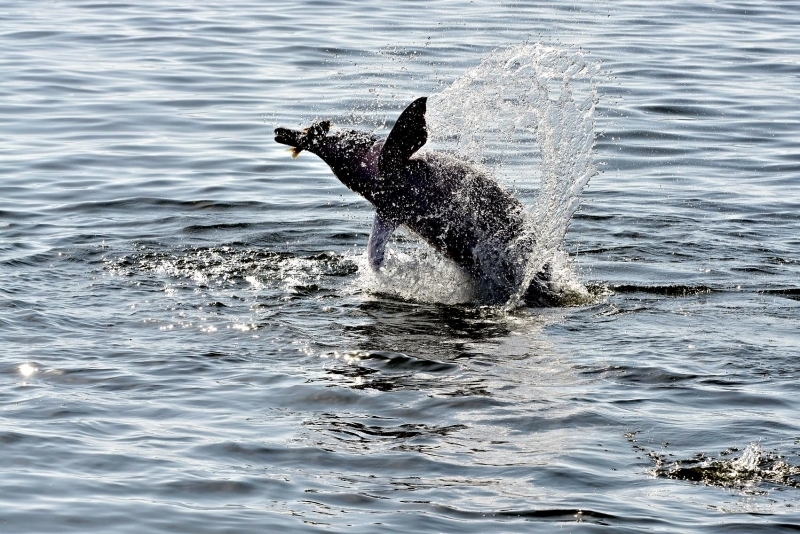 This mammal tends to be most active during the early mornings & late afternoons. 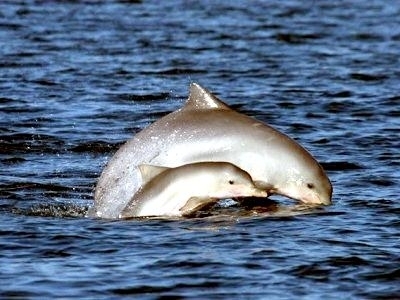 They are generally slow swimmers that jump infrequently and dive for up to 30 seconds at a time. 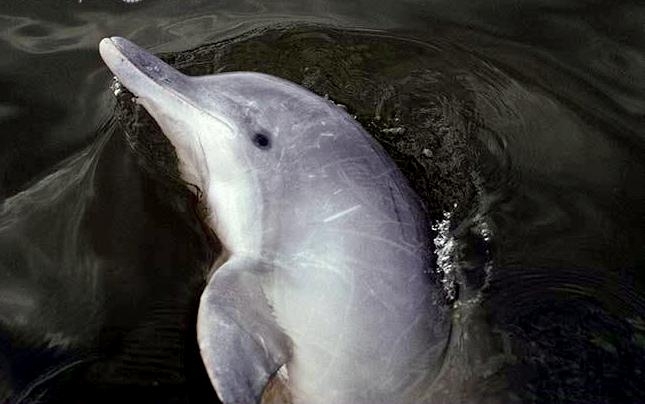 The diet of a Tucuxi Dolphin consists of fish, crustaceans, krill & squid. 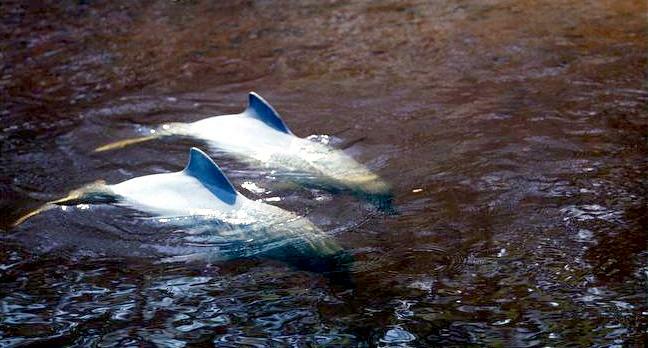 They will use echolocation to help them search for food. 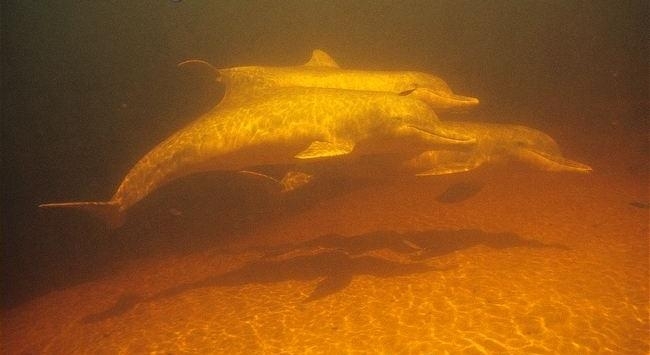 If they detect something under the sea floor, they will use their beaks to clear the sand away and reveal their prey. 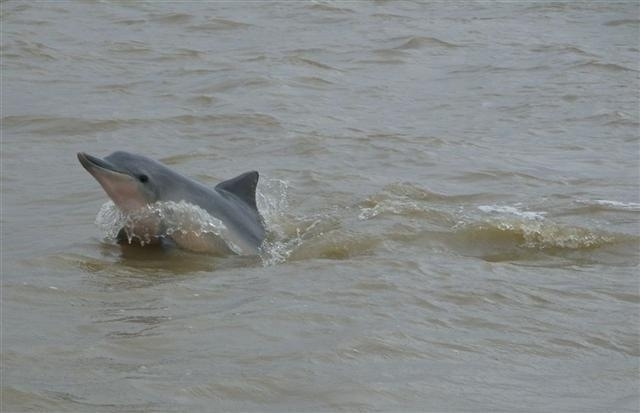 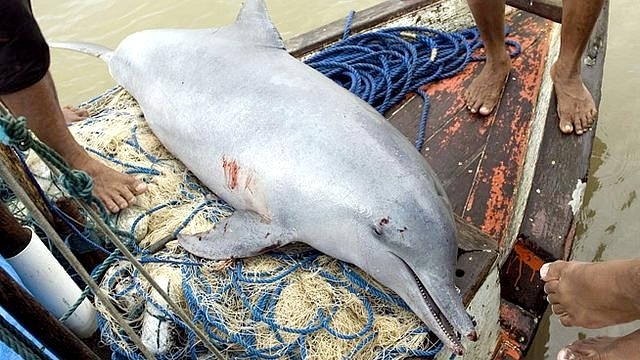 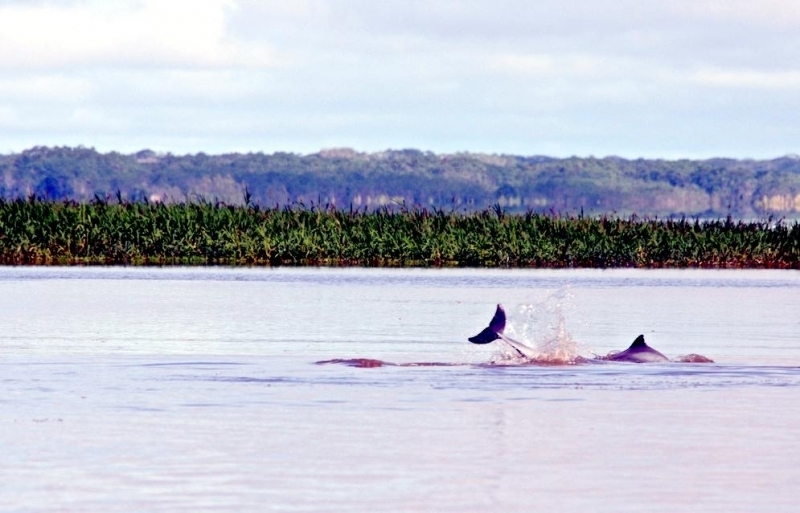 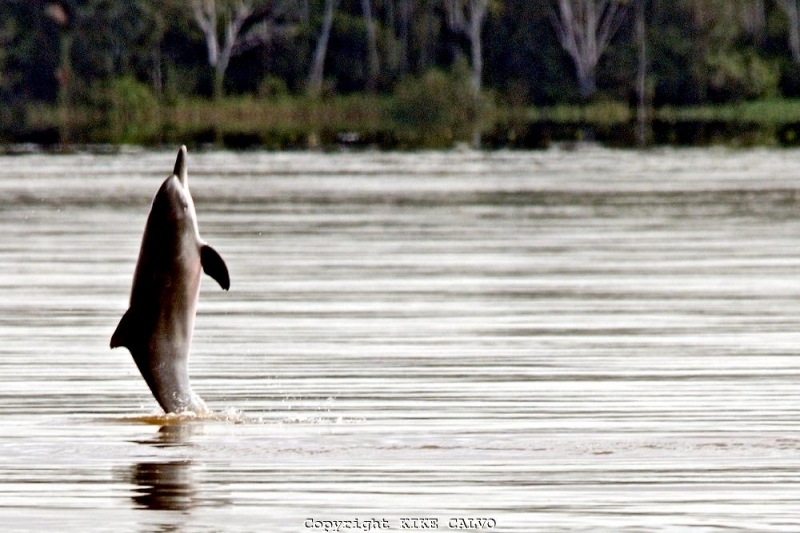 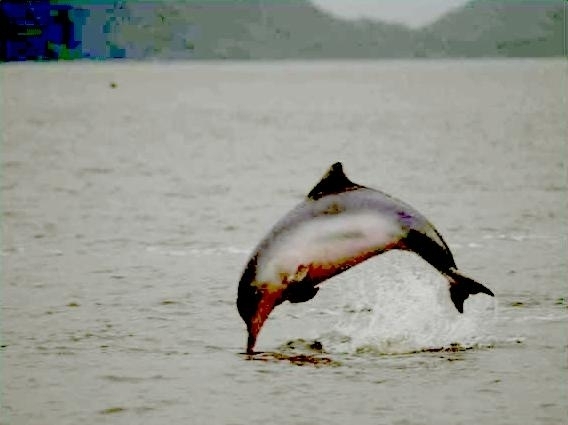 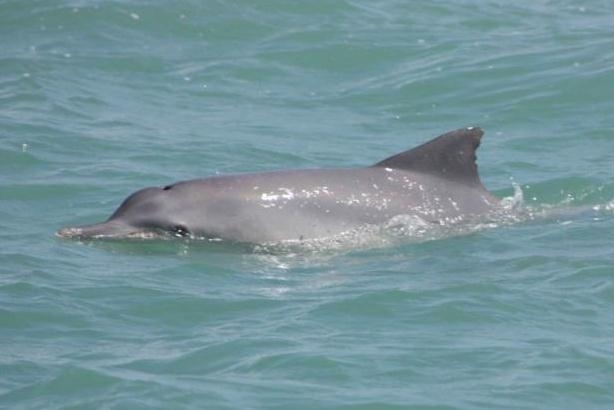 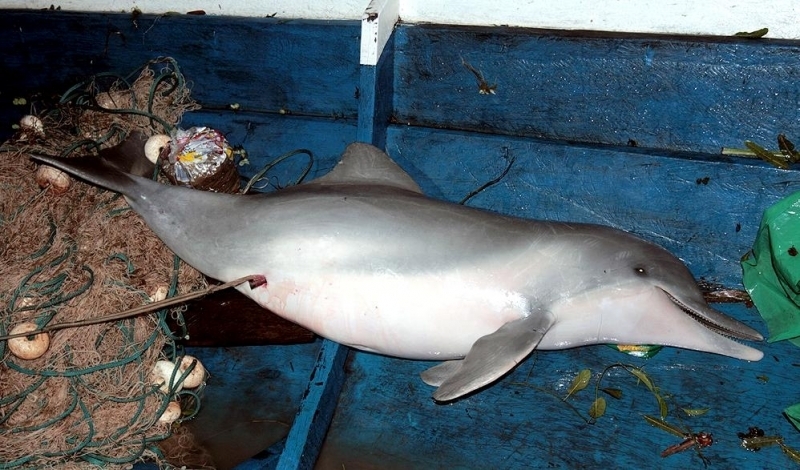 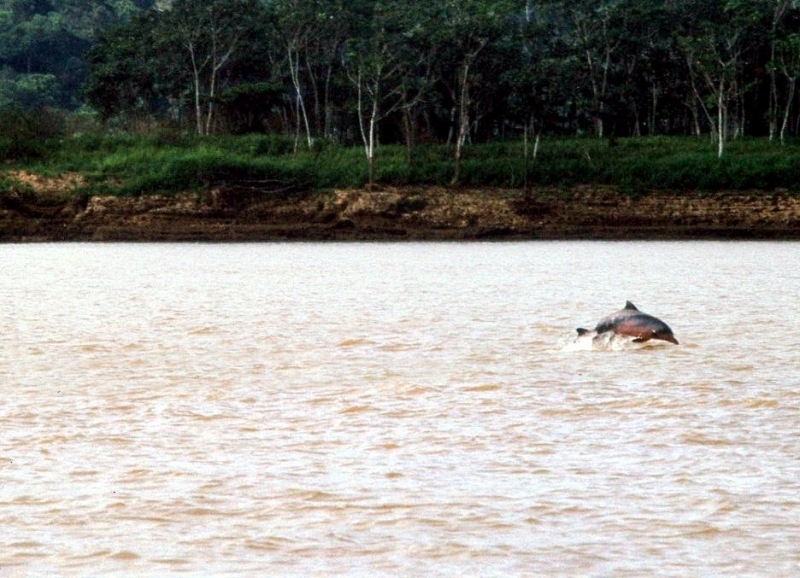 A Tucuxi Dolphin doesn’t really have any natural predators, but humans will hunt them from time to time. 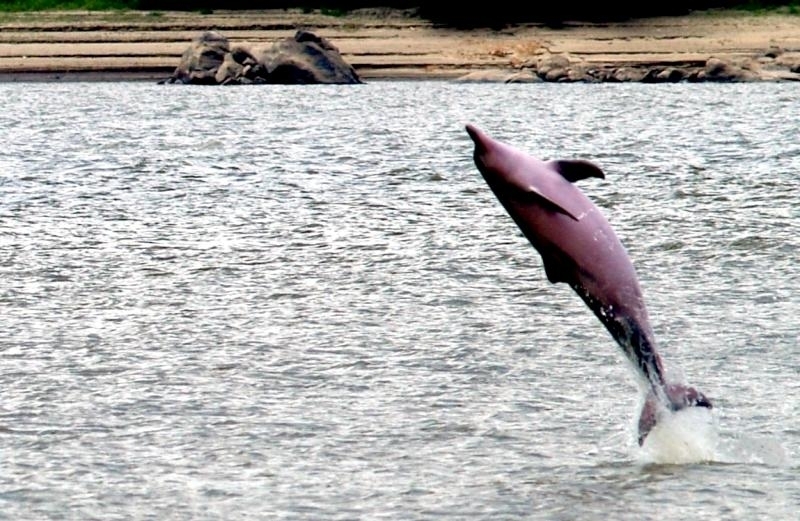 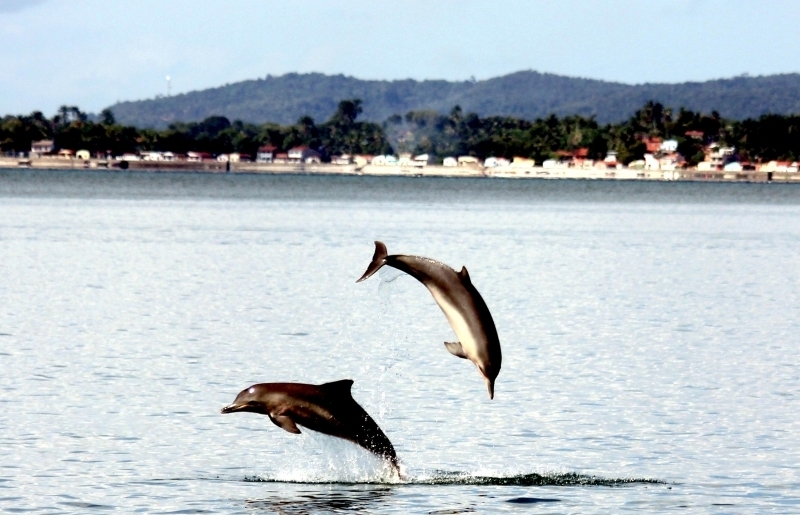 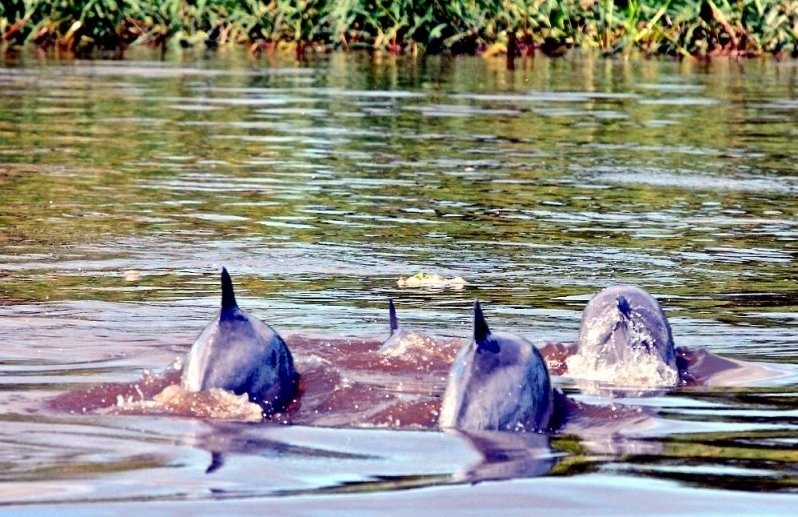 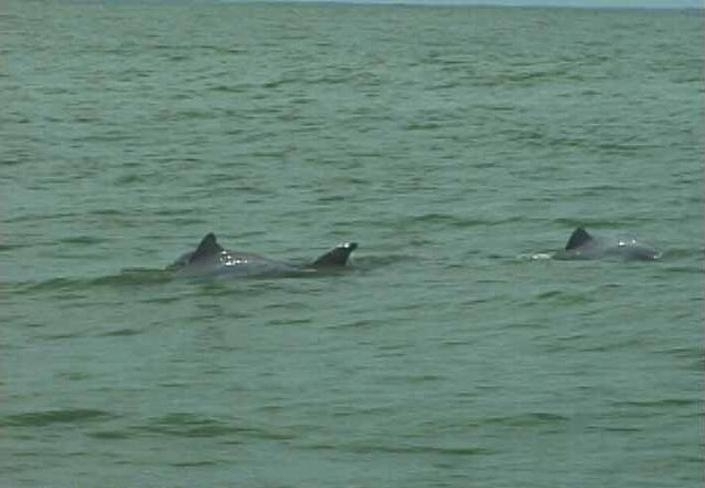 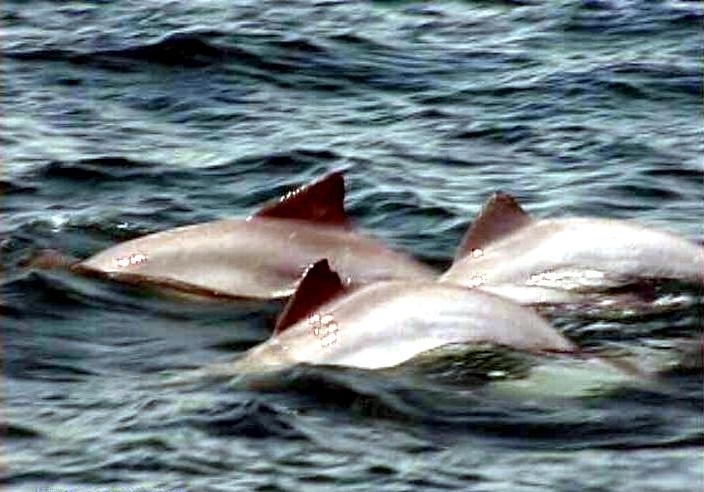 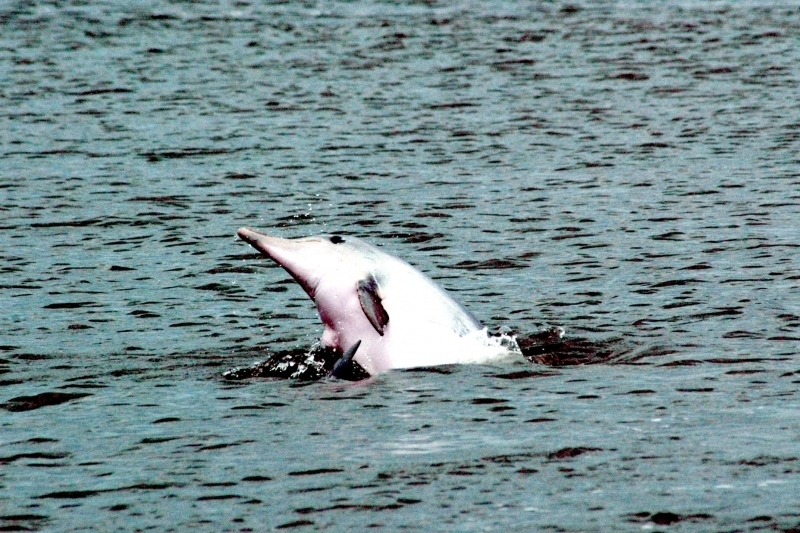 Not much is known about the mating behavior of the Tucuxi Dolphin. 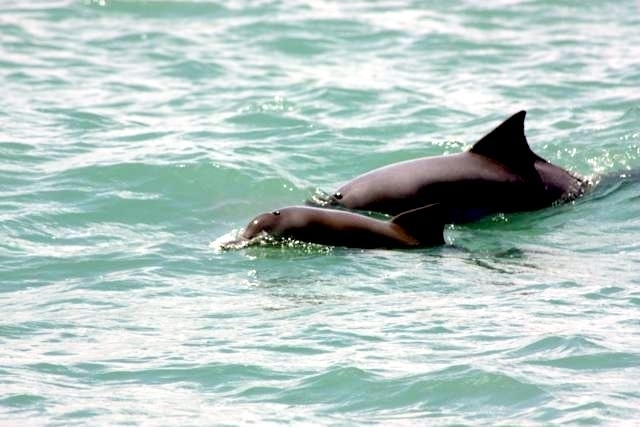 What is known is that they give birth to a single offspring from October to November after a gestation period of 11 to 12 months. 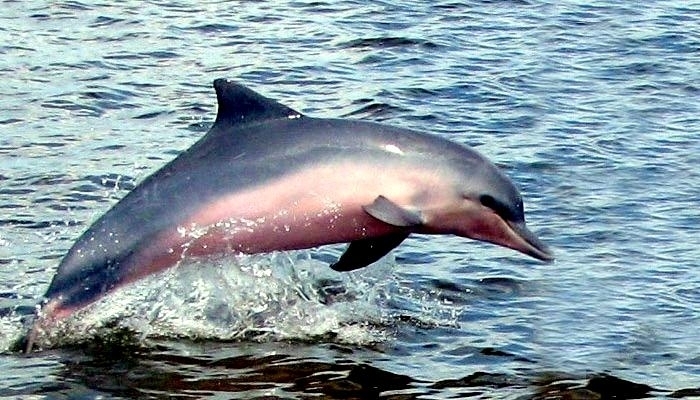 Females are thought to have multiple partners when mating and males will become aggressive to other males for the right to mate. 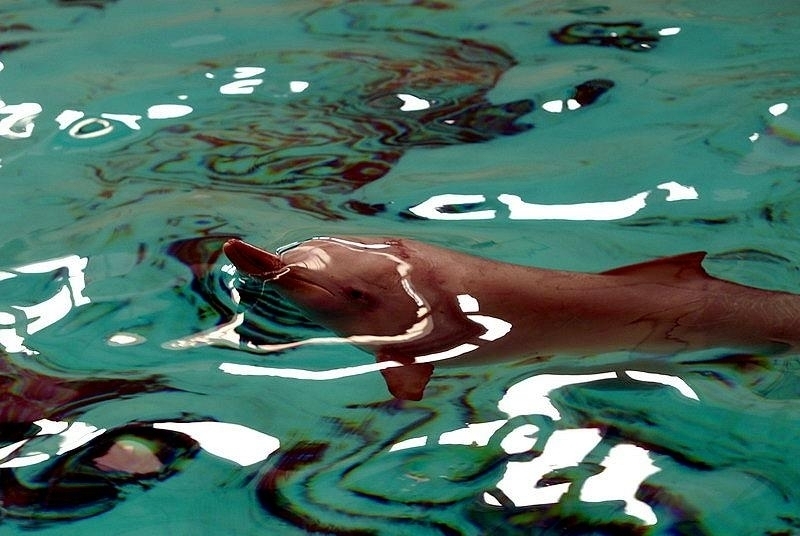 If the young calves can survive long enough, then they can live to be 30 to 35 years old.